Triaminic Only $1.99 At Target! Target is offering a free $5 Target gift card with the purchase of two select Triaminic items right now! Combine gift card offer with coupons to score a 4 oz bottle for $1.99 through 12/31! Here's how:Buy 2 Triaminic 4 oz Liquid $5.99 each ($11.98) Use 2 $1.50 Triaminic coupons (must … [Read more...] about Triaminic Only $1.99 At Target! TempTraq Continuous Monitoring Patch Only $10.99 At CVS! Right now CVS is offering $4 Extra Care Bucks for purchasing one TempTraq Continuous Temperature Monitoring Patch! Combine with coupon to get a patch for $10.99 through 12/31! 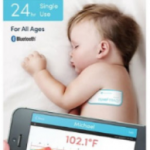 Here's how:Buy TempTraq Continuous Monitoring Patch $19.99 Use $5 TempTraq Continuous Temperature Monitor coupon Pay … [Read more...] about TempTraq Continuous Monitoring Patch Only $10.99 At CVS! Free Gillette Series Shave Gel At Target! Target is offering a free $5 Target Gift Card with the purchase of three Gillette Series Shave Gels right now! Combine gift card offer with coupons to score three shave gels for free through 12/24! 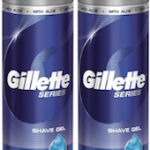 Here's how:Buy 3 Gillette Series Shave Gel $2.06 each ($6.18) Use 3 $.50 Gillette Shave Gel … [Read more...] about Free Gillette Series Shave Gel At Target! Planters Nuts Only $2.96 At Walgreens! Right now Walgreens has select Planters Nuts on sale 2/$8! Combine sale with coupons and Everyday Points to get the below deals through 12/24! Here's how:Buy 2 Planters Nut·rition, 8-10.3 oz 2/$8 Use 2 $1 Planters Nut-rition coupons Pay $6, Get 80 Everyday Points Final Price: 2/$5.94 ($2.96 … [Read more...] about Planters Nuts Only $2.96 At Walgreens! Hormel Gatherings Party Tray Only $5.24 At Target! You can get Hormel Gatherings Party Trays for $5.24 at Target after 25% off Cartwheel offer and coupon through 12/24! Here's how:Buy Hormel Gatherings Party Tray $10.99 Use 25% Off Hormel Gatherings Party Trays Target Cartwheel coupon (deducts $2.75) Use $3 Hormel Gatherings Party Tray … [Read more...] about Hormel Gatherings Party Tray Only $5.24 At Target! Simple Cleansing Wipes And Pond’s Cold Cream Only $1.18 Each At Walgreens! Walgreens has Pond’s and Simple facial care items on sale buy one get one 50% off! Combine with coupons, Everyday Points, and Ibotta rebates to score Simple Cleansing Wipes and Pond’s Cold Cream for $1.18 each through 12/23! Here's how:Buy Simple Cleansing Wipes B1G1 50% Off $6.29 Buy Pond’s … [Read more...] about Simple Cleansing Wipes And Pond’s Cold Cream Only $1.18 Each At Walgreens!